Still, incumbency carries an edge, as can be seen in Texas’ 23 District , where freshman Rep. Will Hurd continues to raise more money than former Rep. Pete Gallego. In another 2014 rematch, freshman Rep. Bruce Poliquin of Maine still dominates Democrat Emily Cain and newcomer Joe Baldacci . But in several districts that are competitive on the primary or general election level, challengers scored at least a temporary upset with their quarterly fundraising hauls. In Iowa’s 1st district, a Tilts Democrat contest , vulnerable GOP Rep. Rod Blum raised $140,000 — significantly less than Democratic challenger Monica Vernon, who raised $254,000. But Blum still leads in cash on hand with $939,000 in the bank. In another Tilts Democrat race, Nevada 4th District GOP Rep. Cresent Hardy raised less than Democrat Susie Lee. She brought in $334,000, which includes a $50,000 personal loan, to his $187,000. Lee has slightly more cash on hand. 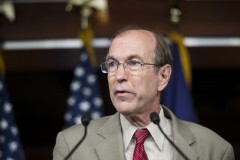 In New Jersey’s 5th District, some donors may have been upset with Rep. Scott Garrett after reports this summer that he wasn’t paying dues to the National Republican Congressional Committee because it supports gay candidates. Garrett raised $179,000 — less than the $226,000 he pulled in last quarter — and much less than the $400,000 that Democratic challenger Josh Gottheimer brought in in the third quarter. Garrett, however, still has $2.3 million in the bank, while Gottheimer, a former speechwriter for former President Bill Clinton, has $934,000. In two primaries where Republican incumbents have been mired in scandal, their GOP challengers are gaining on them. In Tennessee’s 4th District, Grant Starrett continues to raise slightly more money than GOP Rep. Scott DesJarlais — but not nearly as much more as he did last quarter. Starrett raised $93,000 and has $694,000 in cash on hand. Last quarter, with the help of a $227,000 personal loan, Starrett’s campaign raised a whopping $733,000. 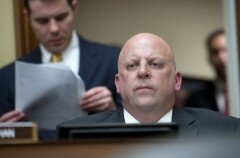 DesJarlais raised $78,000 and has $208,000 in the bank. This is DesJarlais’ second primary since revelations that he encouraged his now ex-wife and at least one patient with whom he was having sexual relations to have abortions. Starrett has been trying to run to DesJarlais’ right . New Hampshire Rep. Frank C. Guinta has been in hot water over past campaign finance troubles , but he continues to raise money. After being fined by the Federal Election Commission in May, he raised $118,000 in the second quarter and $110,000 in the third quarter, with $350,000 in the bank. Republican challenger Dan Innis, whom Guinta beat in 2014, leads him by a slight margin, having raised $111,000 in the third quarter. But he lags in cash on hand. Former Democratic Rep. Carol Shea-Porter, meanwhile, raised $86,000 after filing in August . In California, an Ethics Committee investigation into Rep. Michael M. Honda’s office is emboldening Ro Khanna’s primary challenge against the eight-term Democrat. Honda narrowly defeated Khanna in 2014, and Khanna already outraised him last quarter and has done so again in the third quarter. Honda’s $556,000 bank account now trails Khanna’s $1.3 million reserves. 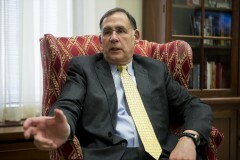 Even long-term incumbents get beat in the money race. North Carolina&apos;s Walter B. Jones, who&apos;s in his 11th term, may have made a splash on Capitol Hill earlier this month, but he’s never been a strong fundraiser . His third quarter haul — $104,000 — is an improvement over the $26,000 he raised in the second quarter, but repeat primary challenger and former GOP operative Taylor Griffin still raised about $13,000 more and has a $70,000 cash-on-hand advantage.